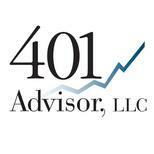 I’m happy to announce the addition of Jim Beekhuizen to 401 Advisor, LLC Jim will be starting our office in North Western Florida. Jim Beekhuizen is a professional Registered Investment Advisor who is dedicated to helping his clients meet their financial goals. His specialty has been assisting utility workers, since 1996. Jim has developed special skills to meet their needs, such as helping them get tax refunds when early buyouts or severance packages are offered to the employees. He believes it’s your money to invest, rather than paying taxes. That work helped him achieve President’s Club membership (Top 50 advisors nationwide) at his previous firm. The importance of becoming a President’s Club member is the additional training that is provided to top advisors. Knowledge matters. Markets are dynamic, constantly changing. Jim believes in actively managing the risks of the investment markets. It’s important to methodically manage the risk if an investment moves against you. He believes that problems should get recognized early and addressed promptly. A primary goal is to prevent a small loss from becoming a large loss. Jim practices risk management by daily diligence, not quarterly or semi-annual reviews. Jim knows that the biggest risk to your wealth can be medical problems that are uninsurable. His personal experiences, when his wife was diagnosed with a genetic longterm illness, make him more capable of dispensing valuable advice to protect your assets if you should ever face such a situation. He has already personally experienced many of the problems that seniors may face some day. Experience matters. Jim has 19 years experience as a Financial Advisor/Investment Advisor Representative, learning and working his craft in both secular bull markets and secular bear markets. Prior to that he worked 12 years in the computer industry in manufacturing, sales, and then as founder of his own small company. Jim earned his BS from Oregon State University in 1979, majoring in engineering, with a minor in business management. Congratulations! I’m so thrilled for you.